On any given day, our president fights hard to do what is right for our country, to strengthen our economy, to create jobs, to fix the ailing infrastructure, to repair the dismal Obamacare, and to represent the American people’s interests, all Americans, on the world stage. Never has one American president been so vilified by the left for doing so much good in America, in such a short period of time. He has given up so much wealth, luxury, comfort, and a good life in order to seek and win the Presidency of the U.S., the most difficult job in the world, and, for him specifically, the most thankless job in the world. I cannot think of a better person to answer a three a.m. call when he must make a life and death decision for our country. 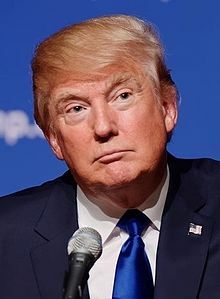 He may tweet too much, talk at times off the cuff, but he is a shrewd and intelligent businessman who can read people and situations well, does not buckle in the face of pressure and adversity, rallies honestly most outcomes to his advantage, and wins in the end. He loves America, he beams with pride when the Pledge of Allegiance is recited, and he sings when our National Anthem is played. I cannot remember a president who was more proud of his country than President Donald Trump. He reminds me of a happy American who is able to buy or build his first home. President Trump’s first and most important home is America, a proud legacy for almost two and half centuries which he aims to protect and make even greater. He is tireless and perennially positive, no matter how vicious the MSM attacks him or the progressive Hollywood mocks him. He ignores them like the “vermin” and “coelenterates” that they are, to use a famous talk show host favorite epithet for the media. Dr. Savage gave Donald Trump a serious journalistic platform to convey his message to the American people about his vision for America. He asked him all the right questions, with great concern for the future of our children and grandchildren. In a way, through his numerous interviews on his show, Dr. Savage helped elect our President and steered him in the right direction, in the direction that the American people, who love our country, want their children and grandchildren to go. President Donald J. Trump has the energy and patriotism of many former presidents rolled into one. Just looking at his busy calendar on any given day, it becomes quite clear that he works non-stop for America. It is quite refreshing to see an energetic 71 year-young billionaire selflessly dedicate his every waking moment to all Americans’ wellbeing, half of whom trash him, demonstrate against him, vilify him, and make up fake and vile stories about him. These are anti-American, self-loathing humans who happen to live and share our space while making fortunes in the very environment they abhor. President Trump is making great strides in fulfilling the campaign promises he had made. He delivered on the regulatory relief for America. He has strengthened relations with key allies such as President Klaus Johannis of Romania, in the common strategic partnership for the fight against terrorism. He has presented a plan to rebuild America’s infrastructure. He has withdrawn the U.S. from the Paris Climate Accord, a move celebrated by those who believe that climate does not change because of human activity and a move disparaged by the left fear mongers who are angry that our taxpayers’ dollars will no longer be redistributed to the third world through U.N. schemes. Between speeches to the Faith and Freedom Coalition, crashing a wedding at one resort, welcoming the Clemson Tigers at the White House, helping reopen a mine in Pennsylvania which had been closed by the draconian anti-carbon EPA regulations, creating jobs, bringing jobs back to America, and protecting those jobs in danger from cheap foreign labor, there is no doubt that President Donald Trump puts America first. President Trump’s efforts are recognized and applauded by his supporters and the objective, real media does take notice. This week our President Donald J. Trump dedicated his efforts to workforce development. As companies are struggling to fill vacancies that require skills and training that our workforce may or may not have, he hopes to close the skills gap and to make sure that Americans go to school to train for jobs that are available now and in the future. Love him or hate him, we can sleep a little easier that President Trump is our President; we pray for his safety and his family’s, and we thank God every day that, for the next four years, we are in good, America-loving hands. This entry was posted in Sovereignty and tagged Donald Trump, Make America Great Again, president, U.S.A. by Admin. Bookmark the permalink. Another outstanding column. It makes one proud to be an American just reading it. And thankful, too, that we have Donald Trump as our President. Thank you, Raymond. God is still in control. President Trump is trying to make America Great Again but the globalists seem to be winning. God had a hand in putting this man into the office of President! POTUS Trump can’t fail with the guidance of God! In time, there will be a change in the country! Thank you, Lord, for your blessings and, I pray you will keep your Holy Hand on the shoulder of POTUS to steer him in the correct direction! Amen! Keep the faith! He is trying but God is ultimately in control, I really believe that. One man can try to do good things for all Americans but there are millions of Anti-Americans waiting in the wings to take our country down. No, I am not a conspiracy theorist, just a realist. I have worked for more then a year to get D.J.T. into the White House and I never thought that he would face such hatred from the left. He has shown to be a great leader of our country but no matter how great a job he does the “Haters” on the left will never stop. Draining the swamp has proven to be a much bigger job then I could have thought and it is full of life time politician’s from both sides of the isle trying to keep their power and control. Donald Trump is the only President to come along that is 100 % for America and beholding to no one. I hope and pray for him and his family’s safety to Make America Great Again. I supported President Trump and still do but, you are right, the Swamp is so deep, only God can truly drain it. I whole heartedly agree Ileana and hope you will continue with the fine articles all of which I have stored in a folder for quick reference. God Bless and Good Health to you. Thank you so much, Bob Slowik. I am sorry to be so slow in responding to your comment. We’ve had to deal with a lot of family issues in the last eight months. God bless you!